Priced at Rs 3,940, the phone measures 94.4mm by 35.85mm, has 7.6mm thickness and weighs just 30grams. 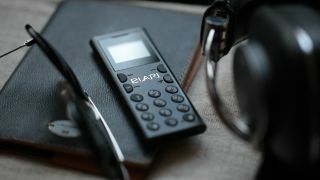 It features a small TFT display measuring 1-inch, offers 32GB microSD and microSIM slots, MP3 player, FM radio and alarm. The phone also includes features like voice recorder with call recorder. It will be available for purchase on yerha.com and customers can also avail EMI options on the website itself. Apart from these features, it has all the basic features like headphone jack, microUSB port for charging and data syncing. It claims to offer 4 days of battery life in standby mode, and comes in three colour variants— Rose gold, black and silver. NanoPhone C can also be paired with smartphones (both Android and iPhone) to be used as a Bluetooth headset to make and receive calls. Users can install an extra SIM card to pair it with smartphone and get access to both the phonebooks. It comes with a Magic Voice function, which lets you tweak your voice prank-call your friends with a funny sound. Equipped with a headphone jack, microUSB port for charging/data transferring, a battery life of up to 4 days in standby mode and up to 4 hours of talk timе, NanoPhone C is exclusively available in India on Yerha.com and comes in three colours- rose gold, black and silver at an affordable price of Rs. 3,940. Customers can also avail attractive EMI options on the website itself.